Book Maui vacation activities prior to arrival or after landing, either through your own research or with the help of an activity provider. 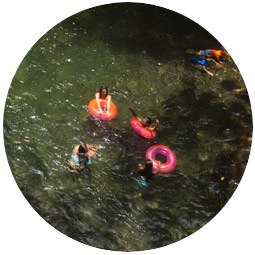 If you need an activity provider, we recommend Tom Barefoot’s Tours – Lori is familiar with our property and can be reached at 1-808-442-8636 to answer your questions. With their low-price guarantee and great track record, our guests have been beyond satisfied with their services. 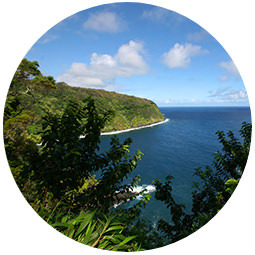 We will also gladly offer our advice and suggestions on touring Maui — just ask! While images of surfing, snorkeling, hiking to waterfalls and watching the sunrise from atop Haleakala Volcano are all ones that come to mind when planning a trip to Maui, not many people consider exploring the Valley Isle by horseback. The Mendes family, whose ancestors came to Maui in the 1860’s, currently own and operate Mendes Ranch and offer a variety of stunning trail rides only a short drive away from Iao Valley Inn. During their morning and afternoon Aloha Rides, guests enjoy sprawling views of the scenic valley, coastline, Pacific Ocean and West Maui Mountains. Mendes Ranch also offers a combination horseback and helicopter tour in addition to horseback riding lessons and private horseback rides. The service is exceptional, and so are the views! Saddle up and enjoy a day in the life of a paniolo (Hawaiian cowboy). For more information, please visit Mendes Ranch online or call directly at 1-808-442-8636. 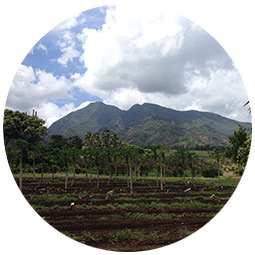 Conveniently located near Wailuku Town and Iao Valley, Maui Tropical Plantation is a 60-acre working plantation that grows as assortment of Maui’s largest commercial crops, including sugarcane, macadamia nuts, coffee, papaya, bananas, starfruit, avocado, pineapple, guava and mango. This agricultural park also includes many informative and fun activities, such as live music shows at the plantation’s onsite Mill House restaurant and bar, Tropical Tram Tour with coconut husking demonstrations and views of the gorgeous plantation, and even a scavenger hunt throughout the grounds. Enjoy a day of natural beauty and check out their list of events for upcoming onsite entertainment. For more information, please visit Maui Tropical Plantation online or call directly at 1-808-442-8636. Exploring the Road to Hana is a must if you enjoy being outdoors and witnessing some of the most gorgeous scenery in the world. Cascading waterfalls, black sand beaches, botanical gardens, natural swimming pools, lava tubes, bamboo jungles, ocean cliffs and dramatic landscape along the back side of Haleakala Volcano are just some of the sights this unique road trip offers. While it can be fun to rent a car and explore on your own, it’s definitely more relaxing to let a professional take the wheel while you sit back and take in the sights. 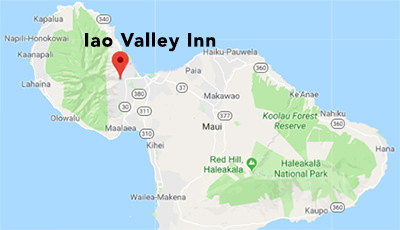 Valley Isle Excursions offers excellent guided tours of the Road to Hana in their 12-person luxury vans, and tours include breakfast, a picnic lunch in Hana and a chance to explore 13 of the most popular stops along the way. For more information, please visit Valley Isle Excursions online or call directly at 1-808-442-8636. 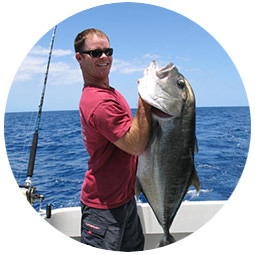 If you enjoy being out on the water, consider a bottom fishing or sport fishing excursion on Maui. With Hawaii’s variety of large game fish, most of which make for a delicious meal, consider booking a private or group fishing trip with Maui Fun Charters. Departing from Maalaea Harbor, they offer great knowledge of local species, fishing tips and even information about one of Maui’s most beloved yearly visitors, humpback whales! This is a great activity for the whole family, so pack up and enjoy the views and fun aboard a morning fishing excursion. For more information, please visit Maui Fun Charters online or call directly at 1-808-442-8636. Hawaii is famous for excellent surfing and snorkeling. With a wide range of fish and underwater life that can only be found in Hawaii, snorkel enthusiasts flock from all over the world to explore life beneath the surface in tropical paradise. 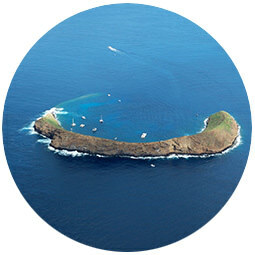 Molokini Crater, a volcanic atoll 2 miles off the south shore of Maui, is by far the most sought after snorkeling destination for Maui visitors. With excellent water clarity, exceeding 180 feet on good days, and an amazing variety of tropical fish and coral reef, Molokini is a must-see if you enjoy the ocean. Pride of Maui offers the most fun and family friendly tour option, which includes a morning or afternoon snorkeling session at Molokini Crater and Turtle Town/Turtle Reef, complete with water slide, underwater camera rentals, food and open bar. Tours depart daily from Maalaea Harbor. For more information, please visit Maui boat trips. Maui Gold Brand Pineapple is famous for its low acidity, extra sweetness and increased amount of Vitamin C, 3 times the amount of other brands of pineapple. Created by former employees of Maui Pineapple Company, guests are invited to enjoy a special tour of the plantation, including a taste test of the different stages of pineapple, thorough history of the fruit and a behind-the-scenes look at how it’s grown. 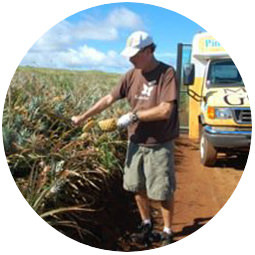 Maui Pineapple Tours offer two daily options, and all guests receive a complimentary pineapple to take home as a souvenir after their tour has finished. This is the only working pineapple plantation in the country, so come enjoy the views, flavor and history of one of Maui’s favorite fruits. For more information, please visit Maui Pineapple Tours online or call directly at 1-808-442-8636. Maui’s only aquarium, the Maui Ocean Center is a great daytime activity to enjoy when it’s raining or if you need a well-deserved break from the sun. Featuring only fish that are collected from Hawaiian waters, Maui Ocean Center offers excellent opportunities to learn more about the marine life and ecosystems of Hawaii. Attend a special sea talk led by an ocean naturalist or expert, visit the Turtle Lagoon and Hammerhead Harbor or hop in the 750,000 gallon tank to scuba dive with sharks, rays and other tropical fish. Children and adults will enjoy a day learning about the endemic underwater species of Hawaii, and the aquarium is conveniently located in Maalaea Harbor, only a short drive away from the most popular attractions in Central, South and West Maui. 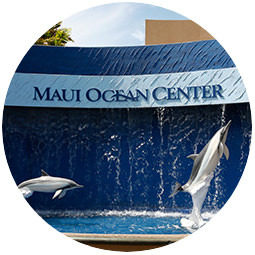 For more information, please visit Maui Ocean Center online or call directly at 1-808-442-8636. The largest dormant volcano in the world, Maui’s own Haleakala Volcano is a stunning sight from almost anywhere on the island. No trip to Maui is complete without exploring at least some of it, and we recommend at least one trip to the 10,023 foot summit to experience the full effect of its dramatic beauty. At Haleakala Bike Company, guests can choose from the adventurous option of biking down Haleakala or relaxing alternative with a scenic van tour of the area. 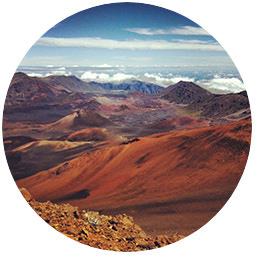 Whatever your preference, this is a great way to learn first hand what makes Haleakala so spectacular. For more information, please visit Haleakala Bike Co. online or call directly at 1-808-442-8636. 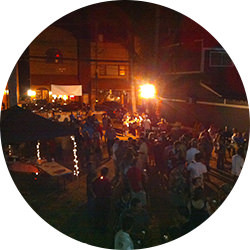 Each Friday on Maui, a town party is held in a different area of the island. Wailuku hosts a free town party the first Friday of each month on its historic Market Street. Live music, performances, beer garden, art, shopping, food trucks and rotating attractions make this one of the best events to experience as a visitor on Maui. This family friendly event is regularly attended by thousands of people and offers fun for everyone, no matter what age. See the best local talent and enjoy a night outdoors beneath the stars from 6 to 9pm. For more information, please visit Maui Fridays online or call directly at 1-808-270-7710.